No other building in the Canal Zone is so intimately linked with the construction days of the Panama Canal as the Governor's House. Its walls were shaken by the blasts from the dynamite used in the excavation work and the rumble of work trains, with their long strings of dirt-filled cars, echoed through its airy rooms. Built as a residence for the Chief Engineer of the Isthmian Canal Commission, the house was located in the construction-day town of Culebra, overlooking what is now Gaillard Cut, where heroic men and machines battled the capricious slides of mud and rock to make an 8-mile cut through the spine of the isthmus and complete the construction of the waterway. The house was first occupied by Lt. Col. George W. Goethals who succeeded John F. Stevens as Chief Engineer in 1907. 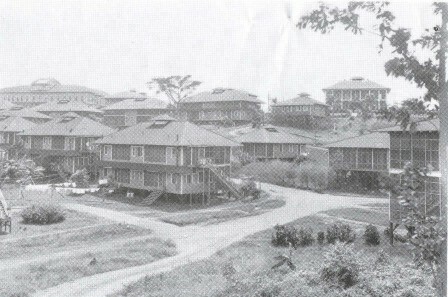 As Goethals was also chairman of the Isthmian Canal Commission, House 159, became the quarters of the Canal Zone's chief executive. 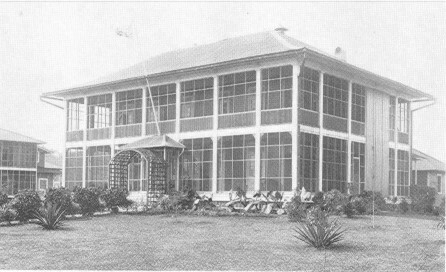 Another building, now used by the District Court in Ancon, was designed to be the official residence. The Ancon house was to be a three story brick and marble stucco structure, with kitchen and servants' quarters in a separate building. It was designed to have 15 bedrooms, each with bath; a roof garden, and a 55-foot by 48-foot drawing room. In late 1906, however, before the exterior of the building was completed, John F. Stevens ordered that it be converted into an Administration Building. Today, it houses the District Court and other offices. 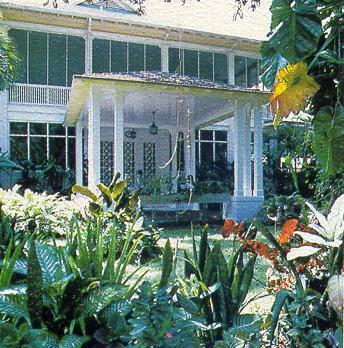 It was in the house at Culebra that most of the official visitors, coming to see the Canal construction, were entertained and many expressed regret that the commodious house was to be dismantled and that the town, with its profusion of attractive tropical shrubbery, would be abandoned following the opening of the Canal. Goethals found the house very comfortable and suggested to President Taft in December, 1912 that he and his family stay there during their visit to the Isthmus. He said that it offered better protection, greater privacy, more quiet, was more centrally located and added as a final recommendation that "the old porch is still the best place on the Isthmus." The house and several other buildings were taken down in 1914, each section carefully numbered, and moved by flatcars to new locations at Balboa Heights. According to records, the Governor's House cost $19,773 to build in 1906. It cost almost that much, $16,300, to move it from Culebra in 1914, and re-erect it at Balboa Heights. 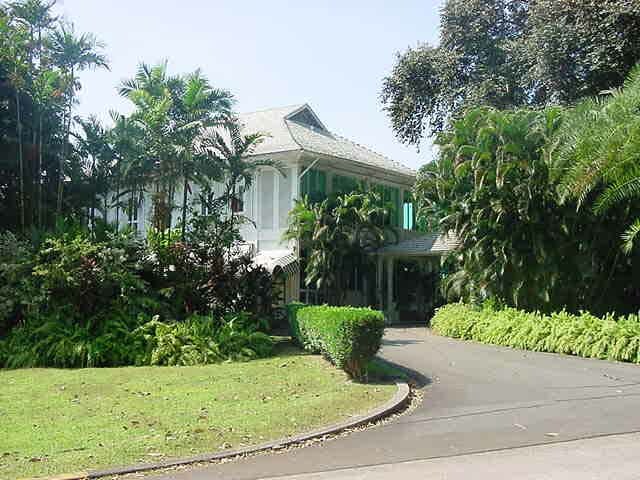 Though a number of changes have been made during the tenure of each Governor, the house on the side of Ancon Hill, the official residence of Canal Zone Governors for more than 60 years, remains basically the same as when it was first constructed. Col. Chester Harding, the second Governor, has a porte cochere built at the front entrance over the circular driveway. During the administration of Col. Meriwether L. Walker, 1924-28, some general alterations were made, the main one being the doubling of the width of the side veranda. 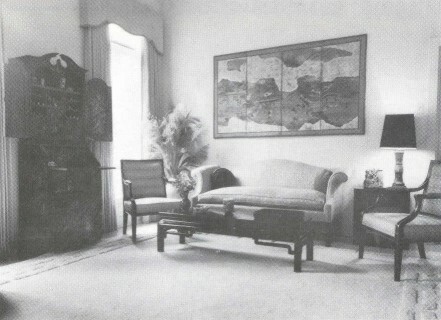 Most of the original equipment and furniture was replaced during the administration of Col. Harry Burgess, 1928-32. At this time, the Governor's House acquired its first official china and flat silver which bears the Canal Zone seal. It was in that era also tat table and bed linen used to be woven with the Canal Zone seal. 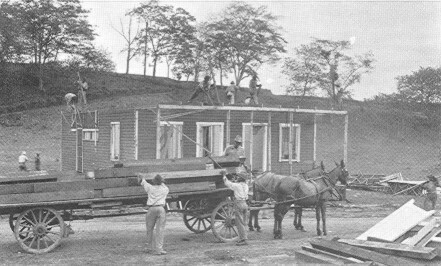 Major changes were made in 1959 and 1960, under the supervision of Governor and Mrs. W. E. Potter, who in the interest of history and tradition, rejected plans for a completely new official residence. Instead, they retained the original style of the house, with its wide-sweeping verandas, high ceilings and large gracious rooms, characteristic of Canal construction days. Walls and foundations were reinforced, and wooden flooring was replaced with tile on the first floor. 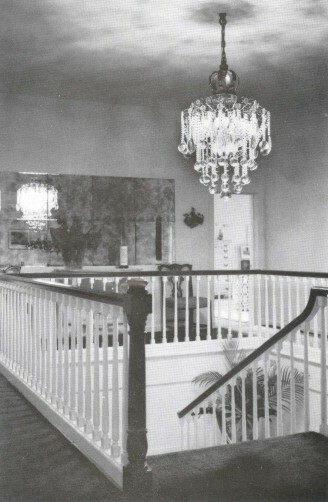 The stairway was relocated, a modern service section built in the basement, and a small bedroom, bath, and library on the first floor were converted into a comfortable air-conditioned guest suite. whenever possible, materials, including the polished tiles on the first floor and the ornamental iron gates in the garden, were obtained in Panama. The handsome Chippendale dining table, its 22 matching chairs, buffet, and 2 serving tables were made of native mahogany by the Maintenance Division to replace the set dating back to Goethal's day. 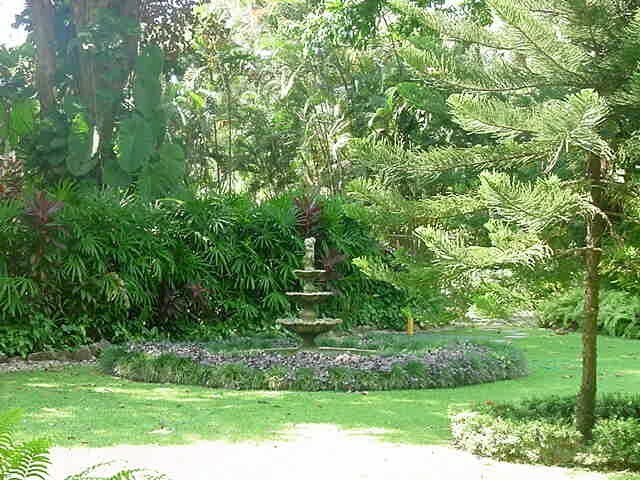 A fountain was added in the front of the house, a fish pond and fountain built on the patio, a retaining wall was constructed to terrace the gardens and considerable landscaping was done. During Governor Walter P. Leber's term, the house was totally air-conditioned. 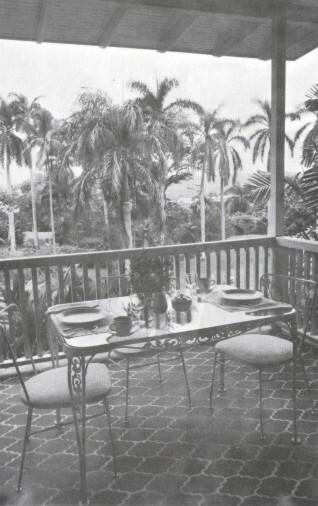 A breakfast porch, in keeping with the architecture of the house, was added in 1971 during Governor David S. Parker's term. Items that enhance the historic atmosphere of the house continue to be added. A collection of oil and watercolor paintings of the Canal and Panama, painted in 1913 and 1914 by E. J. Read, that has been acquired by the Canal Zone Library-Museum, is displayed on loan in the house. 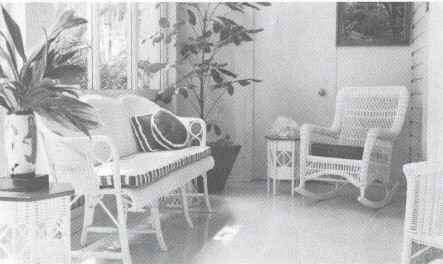 when the Tivoli Guest House closed, some of the furnishings, including one of the famous wicker rocking chairs, were transferred to the Governor's House. Entertaining at the Governor's House includes formal dinners and luncheons for 10 to 60 guests and informal receptions, dinners, teas, and coffees accommodating up to 200 or 300 guests using the spacious reception areas inside as well as the patio and garden. 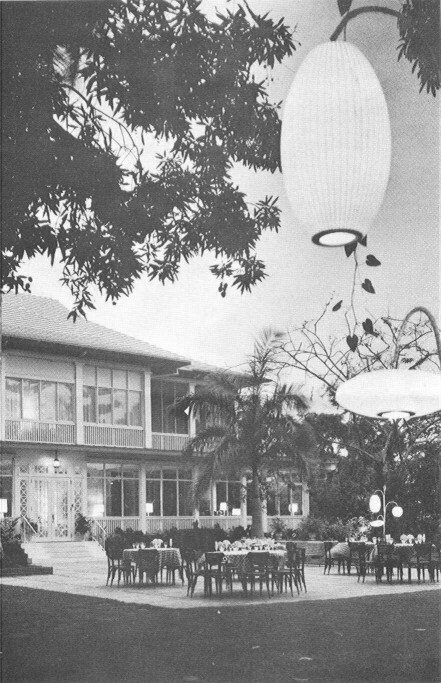 Because of sudden showers during the rainy season, from May to December, a large awning is placed over the main part of the patio. The second floor of the house is for family living. It includes a large living room; two large bedrooms with baths; a study; a wing with a small bedroom and bath; and a utility room. Most of the furniture is provided by the family occupying the house. 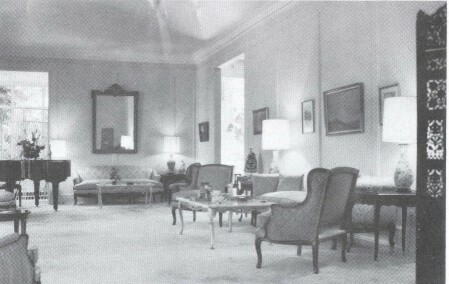 Furniture in the downstairs area belongs to the house with decorative objects added by the Governor and his family. 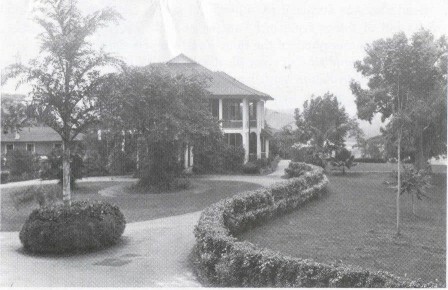 Through the years, while it stood at Culebra and after it was moved to Balboa Heights, distinguished guests from many countries including presidents of the United States and Panama, ambassadors, scientists, high ranking government and military officials and prominent businessmen, have visited and continue to be entertained at this historic house. NOTE: Since the implementation of the treaty in 1979 this house has been the home of the Canal Administrator.